Let the legends of King Arthur live on in the halls of your home. 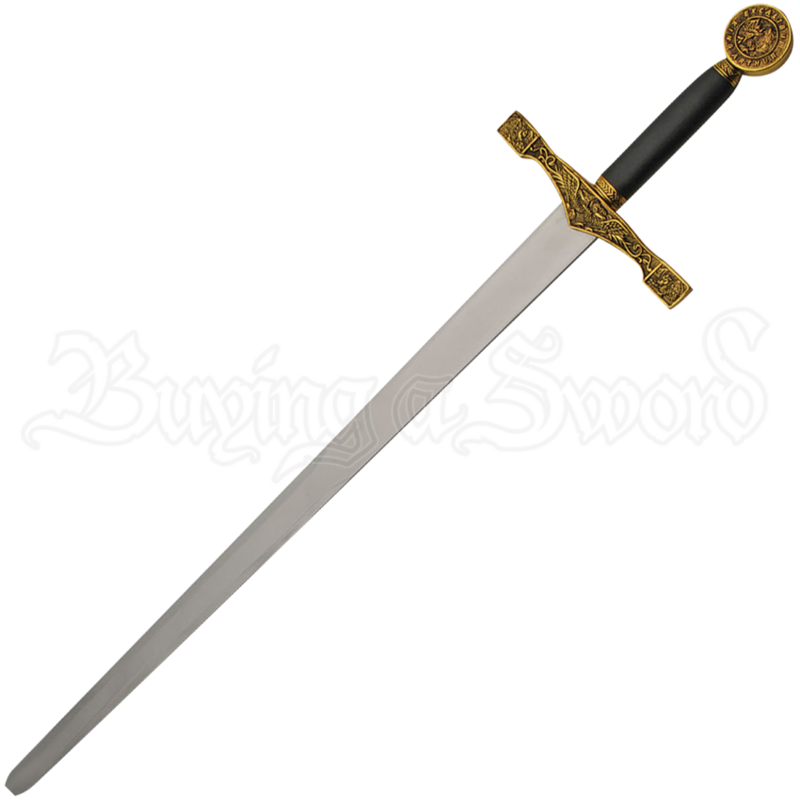 The Gold Excalibur Sword of King Arthur features intricate detailing on its hilt inspired by the mythical king and a stainless steel blade polished to a mirror finish. This decorative sword has a beautiful gold finish over its cast metal guard and pommel, each ornately decorated with medieval depictions of dragons and the words King Arthur and Excalibur. The black grip has a leather texture. At the throat of the included, matching black and gold scabbard is an engraved circle that depicts Arthur retrieving a sword from a stone. Gorgeously detailed and brimming with inspired detail, there is no better way to pay homage to Arthurian legends than with this King Arthur display sword.